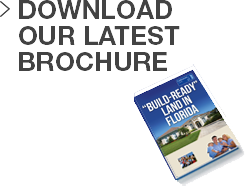 The annual NAR Property Conference and Expo featured Fairhomes Land presenting its latest product, build-ready land in Florida. The annual show is run by the National Association of Realtors (NAR), in Orlando, with seminars and workshops running across the weekend. The central hub of the event is the huge exhibition hall in which just under 400 businesses and professionals from across the entire property spectrum were exhibiting… including Fairhomes Land showcasing it’s build ready land opportunities near to Orlando, Disney and surrounding areas. The conference not only gave companies the opportunity to highlight their latest property investment opportunities, but it also gave visitors a great chance to network with a variety of different organisations, investors and individuals from around the world. The overwhelming impression which many took from this event was the incredible amount of optimism for Florida’s real estate market. Rob Mehta, Chair of the Board of Directors for the NAR, was delighted by the success of the weekend, and in addition reported that over $1 Million had been raised over the weekend for the Hurricane Sandy Relief Fund, which is fantastic news. Furthermore, Mr Mehta confirmed that RPAC (Realtors Political Action Committee) dollars increased by 17% since the previous year, which provides a great deal of hope that more action will be taken to further improve the homeownership situation in Florida. The NAR Property Show is definitely worth attending by any individual, investor or property organisation that wishes to meet new people and gain valuable business contacts in the Florida real estate market.